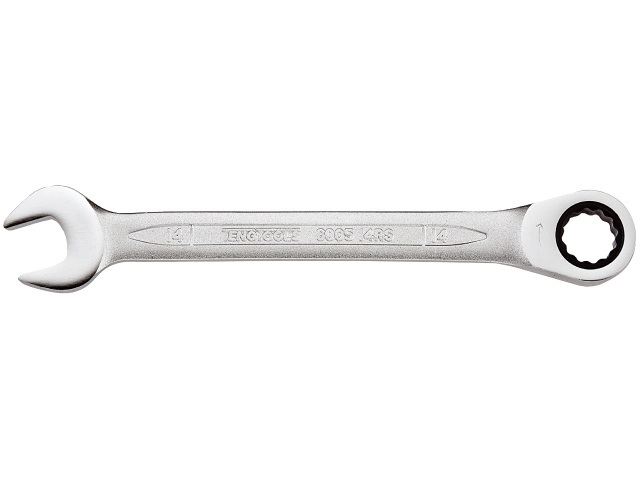 Teng Tools Chrom vanadium. 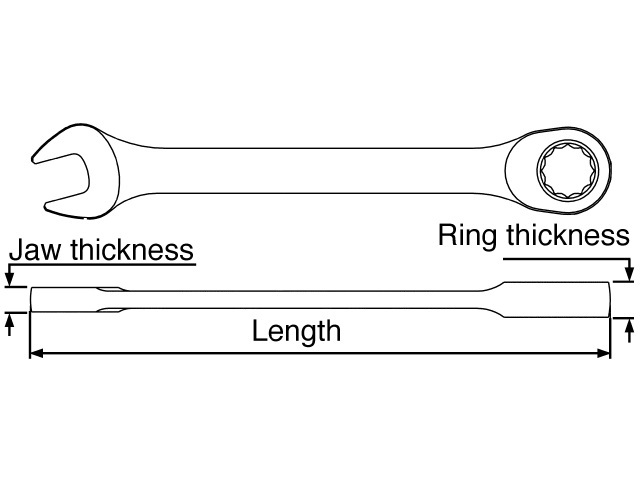 Combined ring/open ended spanner and 12 point ring ratchet with 72 teeth. Straight model. Same size at both ends. Satin finish.